collected will benefit Angel's House. Most Sundays, we have two morning worship services that last for an hour at 8:30 a.m. and 11:00 a.m.. During the summer months, we have a single worship service at 10 a.m.
On Sunday mornings, we have what you might call “vintage” services. We sit in pews with pads that are in rows and we will gladly save you a seat! You will find hymn books and Bibles. The preacher usually wears a black robe with a stole and stands in a pulpit probably in a similar style to what you remember as a kid growing up. The preacher’s message is inspired by the Scripture of the Day that is read prior to the sermon and usually has a theme that is authentic, inspiring, and relates to what is current and relevant for those who are present. We have an organ, piano and a choir with committed and devoted musicians who are willing to generously share their talents throughout the worship time. We have communion once a month and no one is denied this sacred meal. These services feature traditional Prebyterian Church U.S.A. liturgy and a blend of classical and current music. Childcare is available. We celebrate the Sacrament of Holy Communion, also known as The Lord’s Supper, on a regular basis. We use Jesus’ final meal with his disciples as it is described in the Gospels: Matthew 26:26-30, Mark 14:22-26, Luke 22:14-23, as our guide. All baptized Christians, of any age, are invited to participate in this sacrament. How often is it offered and how is it served? The sacrament of Holy Communion is normally offered on the first Sunday of each month at both worship services. Elders assist the pastors in serving communion to the congregation, passing bread plates and trays of individual cups down the pews. Once a quarter, we serve communion by intinction. What is intinction? The pastor invites people to come forward to the front of the sanctuary to receive the bread and dip it in the cup. Holy Communion is celebrated at special services throughout the year, including Ash Wednesday, Maundy Thursday, Easter, World Communion Sunday, All Saints Sunday and Christmas Eve. What if I want to participate in Communion but am unable to attend worship? On monthly "Communion Sundays," and at other times by special request, pastors and church elders take communion to members who are not able to attend worship services at the church. You may receive communion in your own home, or in other locations, such as hospitals, nursing homes, and extended care facilities. Please contact the office if you are interested in participating. As members of the Presbyterian Church (U.S.A.), we offer the sacrament of baptism for people of all ages, including infants and children. Adults and youth can be baptized when they make their profession of faith. When infants and children are baptized, parents profess faith on their behalf, and the congregation pledges to help nurture the child in the faith. In addition, an elder sponsor participates in the ceremony. Family members are invited to stand with the person being baptized. Baptism takes place during Sunday morning worship. For infant baptisms, normally at least one of the parents should be an active member of Newnan Presbyterian Church. The Session has final approval for all baptisms. Contact the Church Office or the pastor to discuss or arrange for a baptism. 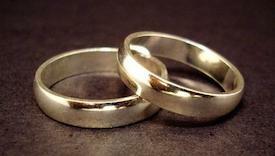 Our historic sanctuary offers a beautiful setting for weddings. 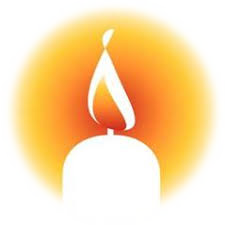 A Taizé service is held the third Tuesday every month, alternating service locations between Newnan Presbyterian Church and the First United Methodist Church across the street. Taizé worship is soft, quiet, and contemplative. There is simple music and prayer, but no sermon. The prayers are both spoken and sung, It is a very personal, very intimate, very spirit-filled service. It is not typical church. 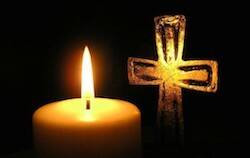 As with the Taizé community in France, our services are ecumenical. Since 2005, this service brings together women of all denominations to worship and reflect during the busy Christmas season. It is held on the first Thursday evening of December at 6pm. Afterward, a reception is held in the Fellowship Hall. All women are welcome. 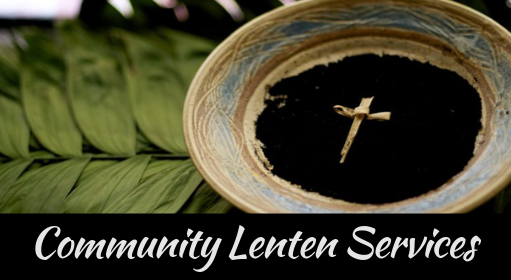 As members of the local faith community, we participate in multiple worship opportunities such as an annual interdenominational preaching and Lenten series. The Worship Team invites young people in grades 1-5 to help with Worship by serving as acolytes. Acolytes serve during the 11:00 Sunday worship service and other special services. To recognize participants who have graduated to 6th grade and welcome new 1st graders, we celebrate with a pizza lunch after church at the beginning of the school year. These “bearers of light” have an interesting history. In the early days of the church in Rome, services were banned so Christians would often meet in the catacombs outside the city. People of small stature - the first acolytes - would carry torches and lead the worshippers down into the inner caves of the catacombs. 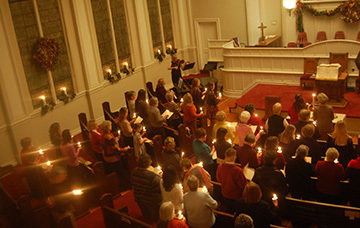 In today’s worship, the lighting of the altar candles to open the worship service represents the light of Christ coming into the presence of the congregation. Taking the light from the sanctuary after extinguishing the candles is symbolic of the light of Jesus Christ going out into the world. If you would like to participate in this ministry, contact the church secretary to volunteer. © Copyright , Newnan Presbyterian Church - Newnan, GA. All rights reserved.